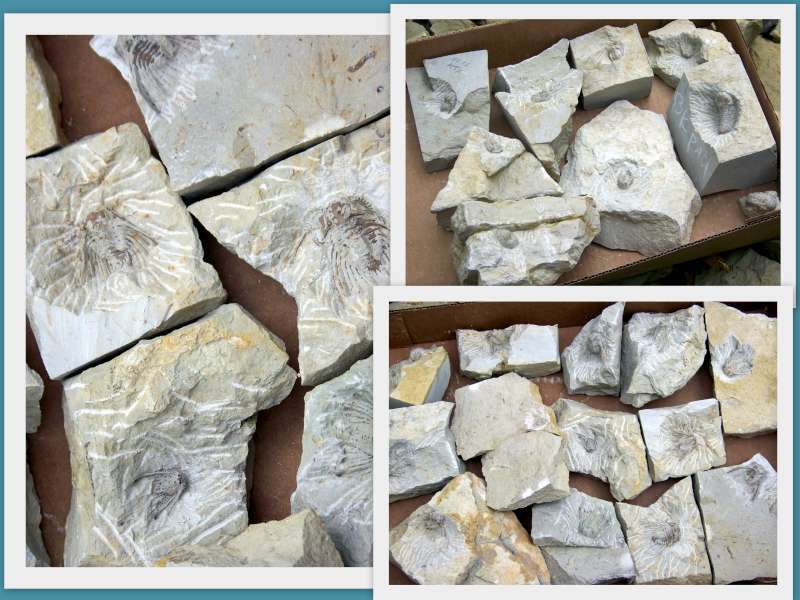 Preparators are professionals who excavate and prepare fossils for display and study. The long and labor intensive process involved in this work is described in the final chapter of the book. Paul Freitag has prepared a nice web page illustrating the preparation process. Just click on his name at the beginning of the last sentence. Photographs can be very expressive summaries of a person's nature and character. I owe a lot to Steve Marley for knowing how to capture this unique view of Bob Carroll, chief excavator and preparator of the fossils from Black Cat Mountain. 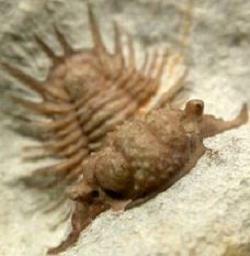 If you want to contact him, Bob can be found through his website: Black Cat Mountain Trilobites. 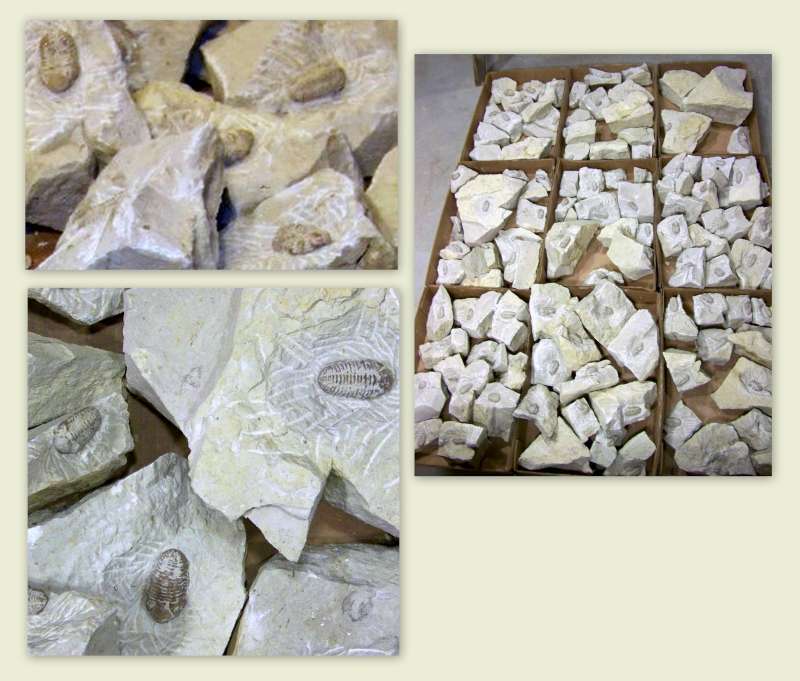 The photograph above shows a Paciphacops in the latter stages of preparation, when the last of the carbonate limestone matrix is being removed using the air abrasive technique. 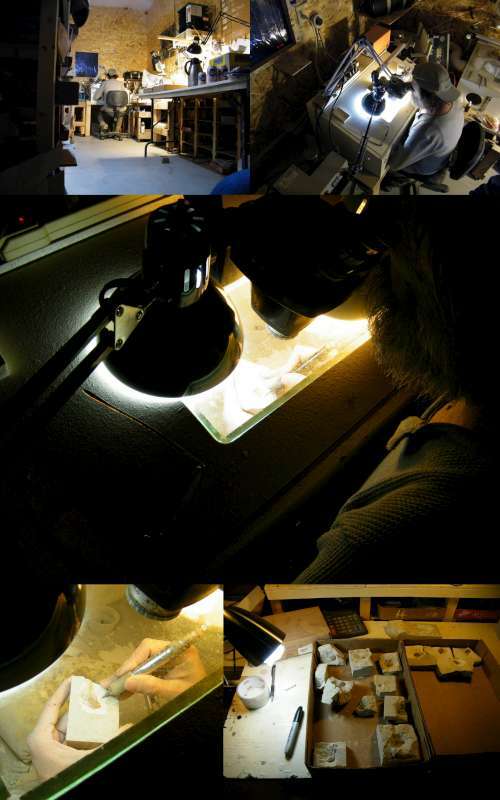 All of this work is done while viewing the specimen through a stereo-microscope. 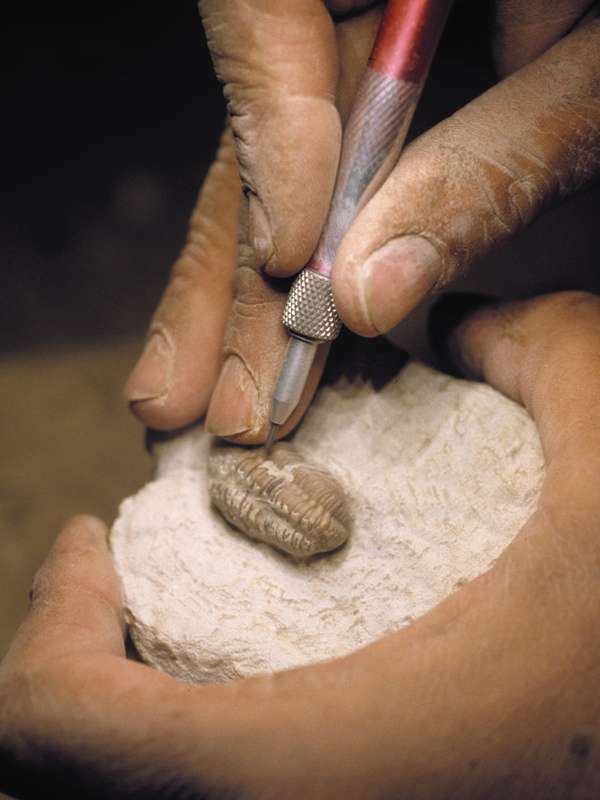 The last chapter of the book describes the process of finding trilobites, excavating and extracting them, and their final preparation for display, and includes references to similar work by other preparators. Over the 2009 year-end holidays I had a chance to visit Bob and photograph specimens he had prepared. While doing this, I also captured the photographs of him in the collage below working on specimens of Kettneraspis in his new shop.